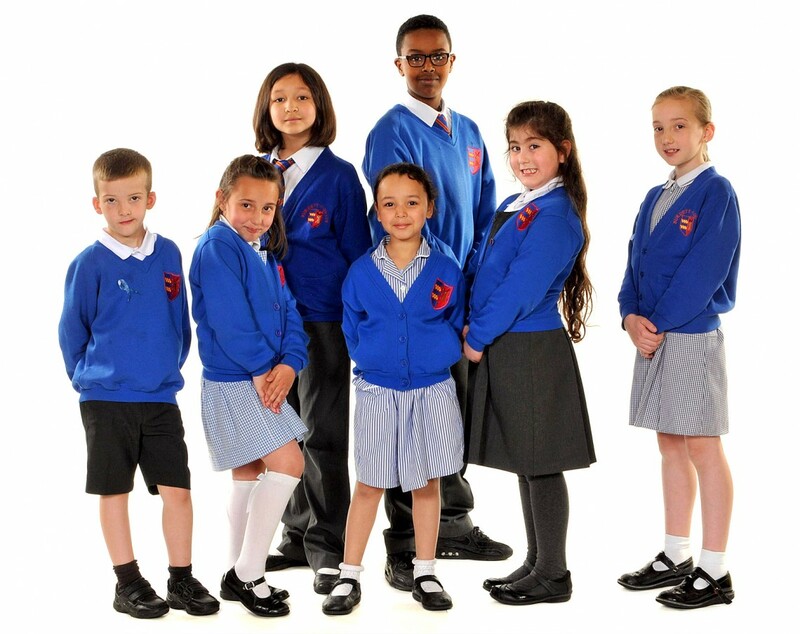 Our school uniform is compulsory for all students from Reception to Year 6 although children in Nursery may wear the uniform if they so wish. Children should wear black shoes (or brown, white or black sandals). Trainers are only permitted if they are all black and must not have coloured laces, patterned colours or white tips. Boots are not part of the uniform. On wet or extremely cold days, children may wear boots to school but will need to change into school shoes once at school. Football shoes may only be worn during play time if it is the class’s football day. T-shirts* with the school logo in the house colours (yellow, green, blue or red), along with royal blue shorts*, in winter navy tracksuit bottoms, and either black plimsolls or black trainers. 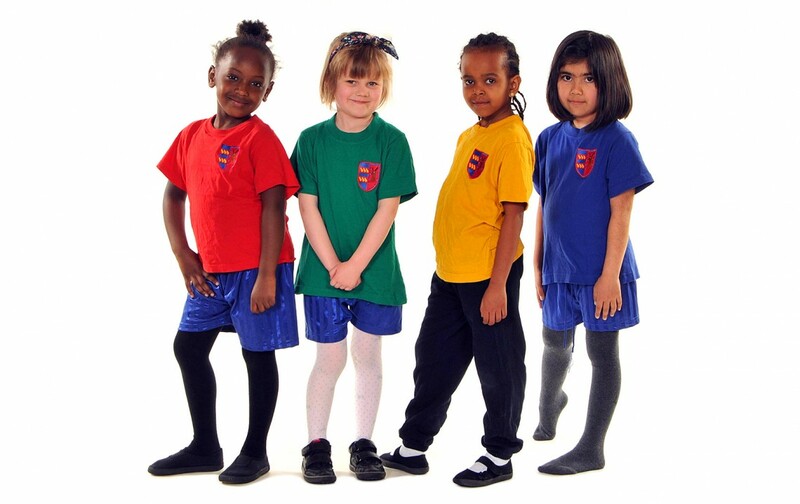 Other T-shirts or football shirts are not part of the school uniform. Fleeces* and waterproof fleeces* with the school logo and winter coats* in the school royal blue are available to purchase, otherwise own coats may be worn. Plain coloured (not patterned) scarves may be worn. No jewellery should be worn, apart from earrings which must be studs or sleepers. No makeup or nail varnish should be worn. Book bags*, PE kit bags* and rucksacks* with the school logo may be used.